Nowadays we can find on the market several cannabis based products under different names, and this variety of choices can lead to confusion. This confusion is mainly focused on the different forms of oil that we are going to present in this post. BHO is a concentrate of the aromatic and active principles of the cannabis plant made by using liquid butane as solvent. Of course, butane is later removed – purged – by using different techniques. This form of extraction is very famous in the U.S. and Canada and is also becoming increasingly demanded in Europe, as evidenced by the success of Dab-a-Doo and other cannabis events which gather cannabis extract lovers. 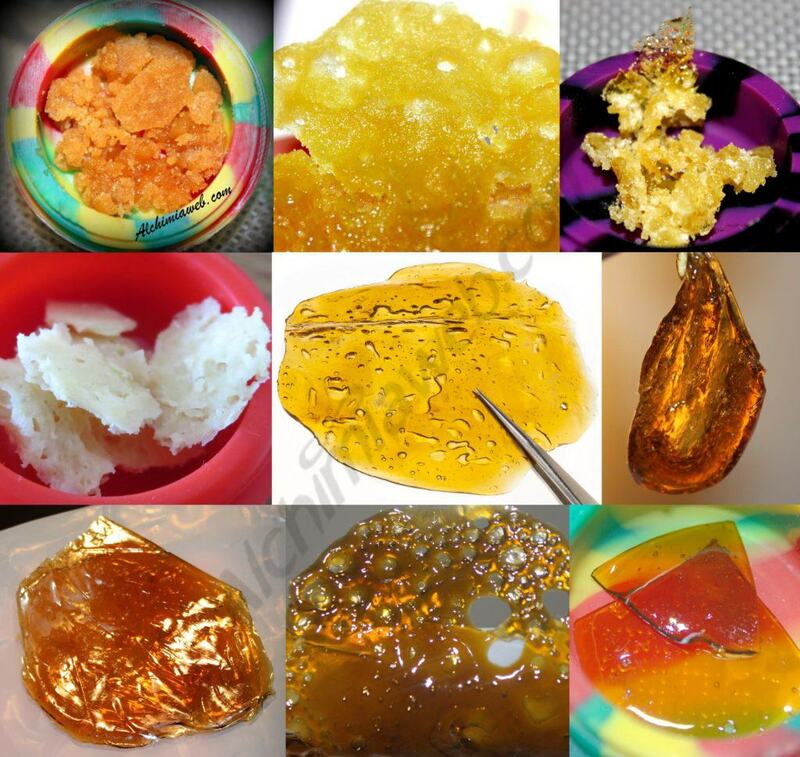 Most BHO samples have a very high level of cannabinoids, easily reaching THC concentrations between 70 and 90%. In most countries, users must make the BHO extraction with cannabis plants grown at home to get this concentrate. Butane Honey Oil is normally used by dabbing, although many people also use discreet portable vaporizers which look very similar to electronic cigarettes. Being one of the most renowned extracts thanks to the eponymous character, Rick Simpson oil is a cannabinoid extraction made with a solvent different from Butane. The original recipe first used naphtha and then isopropyl alcohol, although today using always food grade alcohol like pure ethanol is always recommended, which is much less toxic. Unlike BHO, Rick Simpson oil needs to be heated for a long time to remove the solvent, which causes decarboxylation of cannabinoids from the acid form (THCA, CBDA …) to the active form (THC, CBD …). This is why this type of oil can be used directly by oral or sublingual administration. Caution: Rick Simpson oil contains THC, that is why its sale is banned in most countries. There are some scammers who take advantage of the high demand from patients to make money. Do not be fooled! 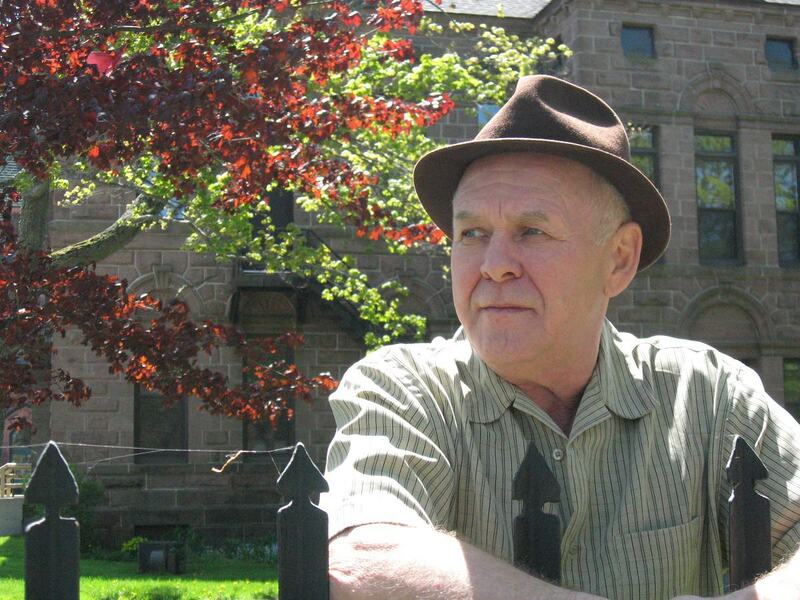 Most online sellers offering Rick Simpson oil are scammers! These persons are especially active in social networks like Facebook. In most cases, these scammers will simply take the money and won’t ship anything to the customer. Sometimes, the purchaser will receive a bottle of oil, although its composition has nothing to do with the announced level of cannabinoids. Thus, for many people the only way to get this cannabis oil is making a homemade extraction. To take advantage of the synergy of the therapeutic properties of THC and CBD we recommend using cannabis strains containing these two important cannabinoids. It is interesting to mention that RSO extracted with alcohol is pretty similar to the cannabis oil offered in Dutch coffeeshops until the 90’s, before it was banned for its high concentration of THC. It was normally used by soaking a cigarette with the oil. Ethanol has the disadvantage of also extracting chlorophyll and other undesirable components of marijuana if not handled properly, this is why this type of oil has a very dark color and strong herbal flavor if not made correctly. If made properly, it is similar to BHO “shatter”. Cannabis/marijuana and hemp are the same plant. Despite this fact, we are used to speak of cannabis when we talk about the THC plant (the main responsible cannabinoid for the euphoric effects of the plant), and call hemp to those varieties grown for fiber and with very low THC content (not inducing any psychoactive effect). Most hemp plants have large proportions of Cannabidiol CBD, a cannabinoid famous for its various therapeutic properties. Thus, a cannabinoid extraction from hemp flowers can be made to concentrate its active principles, especially CBD. Generally, it is diluted in any vegetable oil (olive, coconut …) to facilitate both dosage and use. 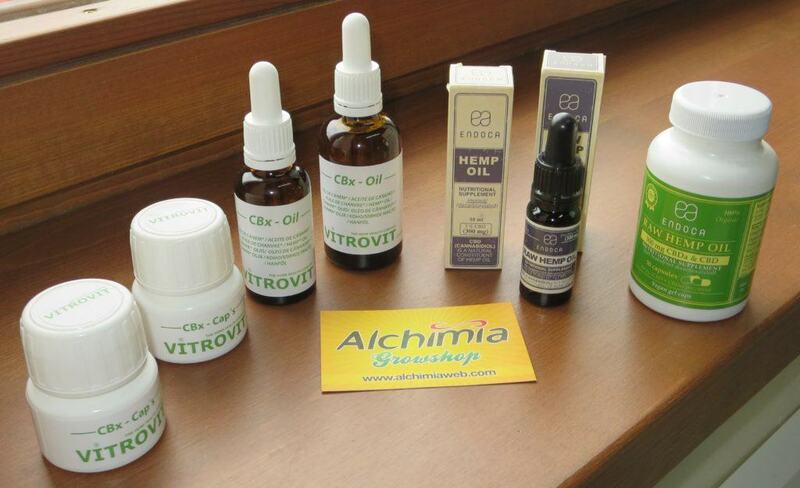 Since CBD cannabis oil contains no THC traces (less than 0.2%), its sale and use are legal in most countries. This type of oil is suitable for medicinal use because it has no recreational, psychoactive effect. Organic hemp seed oil also contains two types of very rare and unusual fatty acids in human food: 3.2% gamma linolenic acid (GLA, Omega 6), with anti-inflammatory properties, and approximately 1% stearidonic acid (SDA, Omega 3), one of the main components of brain and retina cells. The resulting vegetable oil from hemp seeds is perfect for cold food preparation. It should never be heated to prevent oxidation of the fragile Omega 3, which would cause the oil to become rancid. For this reason, it is important to always keep this oil in the refrigerator, especially after opening. The taste of hemp seed oil reminds of walnut oil, being sweeter and with herbal notes. The active ingredients of marijuana are fat soluble so that it is also possible to extract cannabinoids using vegetable oil, such as olive oil or coconut oil. This needs to be heated for some time to decarb the cannabinoids to the active form. After decarboxylation it can be dosed via drops under the tongue (sublingually) or directly mixed in the food, such as salads or juices. 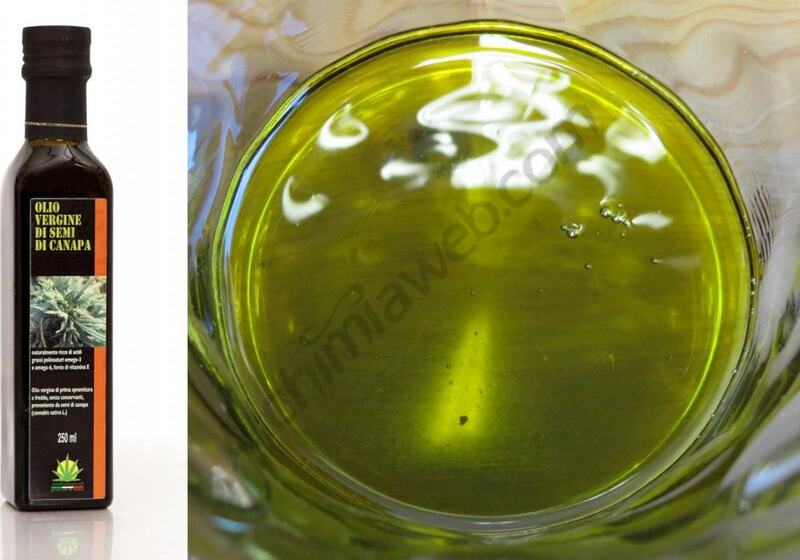 This type of oil is mainly used by patients who want to benefit from the medicinal properties of marijuana. We hope this article helped you to clarify the differences between the diverse oils extracted from cannabis and hemp, each one with very different properties. As BHO oil is not suitable to make a vinaigrette, CBD hemp oil should not be dabbed! I have several virus in my body. I also have candidia which caused my tinnitus, can the rick Simpson oil help me. I have been sick now for over a year Help! Thank you for your question. Currently the evidence for treating viruses with cannabis is unclear, claims have been made for its capacity to inhibit viral reproduction and its anti-inflammatory qualities are well documented. What is clear, is that cannabinoids can have a positive effect on the human immune system, helping the body in its fight against pathogens. Evidence points to virus infection and a depleted immune system being a contributing factor to Candida, so it’s possible that the two conditions are linked. Much of the information available online about Candida is from pseudo-medical or self-help websites of dubious quality, with many of them drawing a link between cannabis use and increased Candida infection (the same sites also claim that cannabis smoke is far more damaging than tobacco smoke, so draw your own conclusions from that!) while other sources make claims for the immune system boosting effect of cannabinoids having a positive effect on clearing up fungal infections, particularly CBD (Cannabidiol). I’m no doctor, but in your position I’d seek out a good quality, organic cannabis oil with a THC:CBD ratio of 1:1 for a balanced therapeutic effect and see how that helped. If things don’t improve or worsen, don’t hesitate to seek professional medical advice. Dear Rick, I know nothing about cannabis oil, but would love to try it for my problems, I have copd & I have severe osteoporosis, I also had kidney cancer & lost 1 kidney, no chemo thank goodness but I know a lot of Druid’s are hard on your kidneys so I would like to take care of the 1 I have left..I would appreciate any advice you can give me. You’ll basically find two types of cannabis oil: those containing THC (illegal in most countries) and those containing only CBD (which are completely legal). THC oils will make you high, while CBD oils won’t. The main difference between them is that CBD oils are extracts from hemp, which contain mainly CBD and very few cannabinoids and terpenes. On the other hand, THC oils usually contain a wide range of cannabinoids and terpenes, thus being more efficient. If you live in some of the states/countries in which cannabis is legal, I’d try to get some THC oil, but also containing CBD. On the other side, if you live in a place/country where cannabis is illegal, you can try some CBD oil with the highest possible content of other cannabinoids and terpenes. I have obtained some cannabis oil from a source. I ha Fibo Myalgia and am in continuous pain. Hi Maureen, thanks for your question. It sounds like what you have received is some kind of RSO (Rick Simpson Oil, read more here) which is always as you describe, dark in colour, viscous and sticky. The chances are that it is high in THC, unless it has been prepared from CBD-rich plants or from industrial hemp plants, in which case I’d imagine it would have been sold as such, so I think it’s safe to assume it is high in THC. I’d recommend starting with a small dose, something the size of a grain of rice, and gradually increasing the dose until you’re comfortable with it. A good idea is to take it before bed. I wish you all the best, I really hope it brings you some relief. I was looking for a right marijuana strain that could help me with my chronic back pain. I’m suffering from it for almost 2 months now I just don’t know if it’s connected to my work since I’m sitting more or less 9 hours. I came a cross with this marijuana strain https://www.alchimiaweb.com/en/cbd-blue-shark-product-4717.php . This is the first time that I would be taking medical marijuana I’m not sure if this would be effective with my back pain. Also is there any other way using it medically? as my health is not too bad otherwise.I’m wondering of which way to go in trying the medicinal way.One lady told me Tincture ,but I’m not sure. Hi James, thanks for your question. Cannabis oil can definitely help you out, tinctures or edible oils are a great and healthy way to consume, much more effective than smoking and a lot easier to calculate a regular dose. If you have anxiety issues then I would strongly recommend finding an oil with a high percentage of CBD (A ratio of at least 1:1 of CBD to THC) because it counteracts any possible anxiety caused by THC. Pure CBD will definitely help, but it’s better to have at least a small percentage of THC in the mix as well, it will greatly potentiate the CBD but also to offer a full spectrum medicine with what we know as an “entourage effect” or a synergy between the various active ingredients: cannabinoids, terpenes and flavonoids. I hope that helps, if you have any more question feel free to ask. thank you so much for your excellent website. I am planning to make a tincture for sublingual consumption. As far as I understand the most suitable methods are QWET and olive oil extraction. Will both yield similar amounts of THC? Presumably olive oil based tincture will be far more pleasant than ethanol based tincture (which is known to burn under the tongue)? I am not looking for any sort of edibles but am interested in fast-acting effects that are easy to dose (and repeat). It seems that olive oil based extraction is far more convenient than Ethanol based extraction so the question is which offers the best yield, absorption into the blood stream and shelf life of the end product. Hi Sharky, thanks for your comment and question. You’re right about the burning effect of Ethanol tinctures, which I know from personal experience can be very unpleasant. Olive, Sesame or Coconut Oils are all great alternatives to use as a carrier for the cannabinoids. A basic and not-particularly-concentrated tincture can be made by simply cooking cannabis in Olive Oil, it will perform an efficient extraction, capturing the full spectrum of cannabinoids, terpenes and waxes. This method has a few slight disadvantages, the first is that it can’t be reduced down into a more concentrated form, so doses will have to be higher, secondly the potency will be something of an unknown, meaning that dosages will have to be established via bioassay, ie trying it out and seeing how it affects you, then adjusting the dose accordingly. Lastly, Olive Oil is perishable so doesn’t last a very long time. 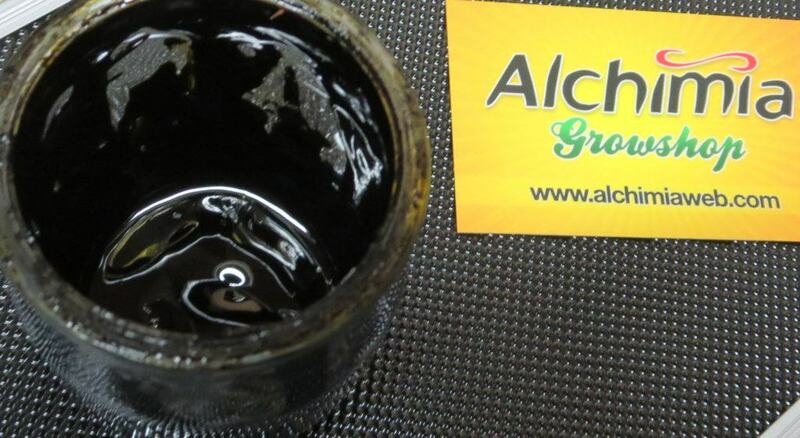 If you’d like to have a more precise idea of the cannabinoid content of your tincture, then you can perform an Ethanol extraction and then once all the alcohol has peen evaporated you can infuse the resulting concentrate into your carrier oil of choice, and by weighing the extract and the oil, you can achieve the precise concentration required, which will greatly facilitate dosing. It also makes it really easy to get the same results every time you make the tincture. This method also has its disadvantages, the process takes time, and it’s difficult to retain the terpenes in the extraction during the evaporation process, so it’s not what I’d call a full-spectrum extraction for an entourage effect, although cannabinoid levels will be relatively high. Of course, this is easily remedied by adding a few drops of terpenes to your tincture, giving a flavour of your choice. A more natural option would be to make Rosin, a terpene and cannabinoid-rich method of extraction that doesn’t involve using solvents like alcohol. It’s my personal preference when it comes to extractions, and can be carried out with as little equipment as a hair-straightener and oven parchment! It can then be combined with your selected carrier oil, just like with the QWET extraction. Remember that in both cases, the extraction will need to be decarbed to activate the THC before being mixed with the oil. I hope that’s helped, all the best and happy extracting! Thank you for your very helpful reply, Tim. I have decarbed 7.5g last night and have everything ready for a QWET. Since this is my first time I think I will go for an Ethanol extraction and then see how it goes. My plan is to do the extraction, possibly reduce the remaining liquid by 50% and then keep in a jar (not go through with the entire process as detailed on your blog post). I have dropper bottles ready and if the burn is too much I might add some flavouring to the tincture (a spoonful of sugar makes the medicine go down…). If this experiment fails will I be able to evaporate the alcohol in the remaining (non-diluted or flavoured) tincture and add oil as a carrier? Or would it be best to start afresh? I am thinking of using coconut oil in the future. Hi Sharky, glad the reply was of some help. Another option to make the tincture burn less is to reduce it down a bit and mix it with some vegetable glycerine, I’ve done this in the past. However it can be a bit of a pain to blend it properly as it tends to separate. I never tried using heat to blend them though, that might work better. Otherwise just shake really well before using. It certainly tastes better than pure alcohol tincture anyway. And yes, you can absolutely evaporate the alcohol off from the tincture and use it to add to a carrier oil if it’s undiluted & unflavoured.